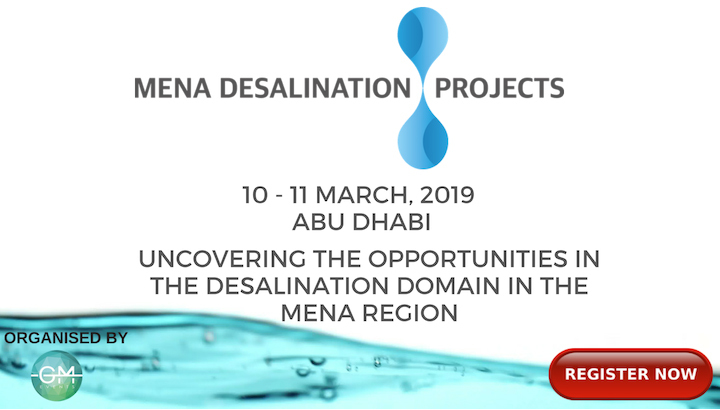 The MENA Desalination Projects will bring together 300+ regional and international stakeholders from the government, consultants, contractors and suppliers to discuss about the upcoming desalination mega projects in the region and highlight national sustainability visions driving the water agenda. The conference will focus on critical issues such as environmental footprint, financial modelling and water security as well water preservation. Featuring governmental panel discussions as well as industry debates involving the top consultants in the region, this exciting event will offer an unparalleled learning curve on the latest technology in the desalination domain delivered by the world’s trailblazers.